Today we will be discussing a topic which is merely a very common and quite easier to understand. Gmail and its different aspects. So, let’s begin with what is a Gmail and how one can operate it. Basically, Gmail is free a free email service developed and provided by giant tech company Google. If you want to know other staffs about Gmail and Google or maybe some history then you can just search over the internet and you will get many resources according to your inquiry. We will not be going to those details today, we only cover up, how you can get a Gmail account and how can you operate it or use it, based on your need. 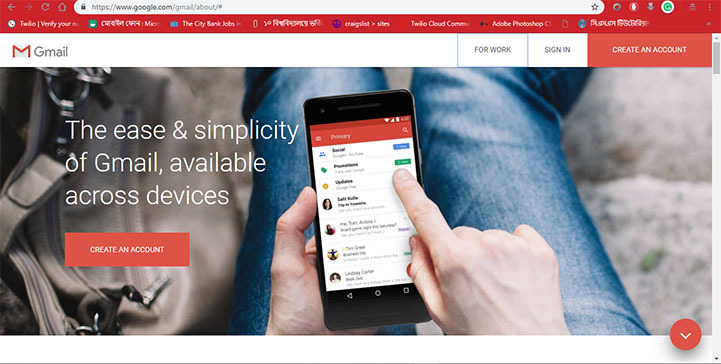 At first, you need to open an account by typing gmail.com in your browser or launch the Gmail app from your device. I assume you are new to Gmail, so you did not need to click the sign in button, you just need to click the button labeled by CREATE AN ACCOUNT. Then a form will appear before you and you just need to fill up the forms with the information of yours e.g. first name, last name, user name, and password or maybe some security questions you need to answer. 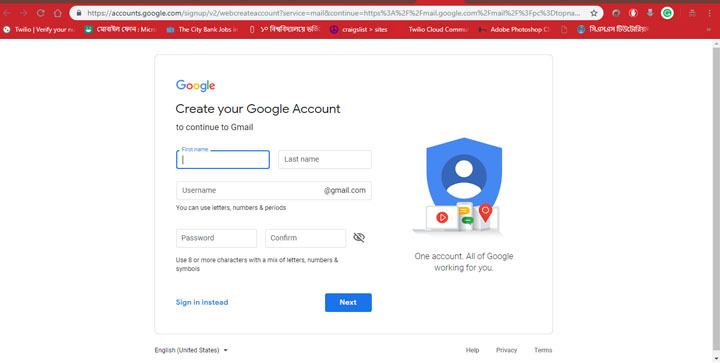 After successful completion of all steps, you may need to re-login to the account with your username and password you just choose and now you are all set to use your Gmail account. But remember some issues with Gmail username while you are trying to create your account. You cannot use the user name that is already taken by somebody, Very similar to an existing name or the username that somebody used previously and maybe the account is now a deleted and some names that are only reserved by the Google authority. Now let’s talk about how you can create an email message and send it. After successfully sign in to your account you need to click the Compose tab on your left and you will see the following view. Where, you need to enter the recipients email address in the field “To” and write subject title in Subject line and below that textbox you can just type your message and some other options also available below that like attach a file, sending a link, add an image and so on, you will be able to cope with every feature of Gmail by using it day to day through interest of your learning. 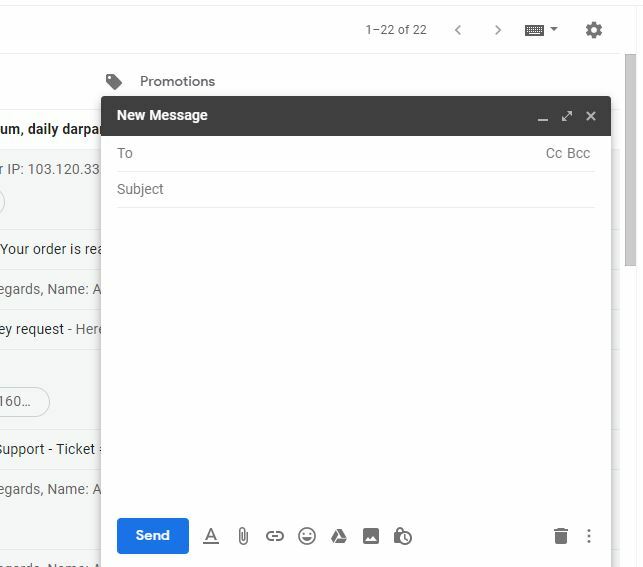 As we discussed, Gmail is basically an email service platform that means if you can send an email and in the same manner, you will get an email from others too. So, now you already know, how to compose an email and here you will know how to reply to the mail you got from others. For reply, you need click to the reply button to an email within a thread and you just need to type your reply message and this time you don’t need to add any email address of the recipients. And, just like that you can also able to forward an email to someone else. And, many other things like you can label a mail according to the importance, save a draft for future use and you may customize the themes as you wish and many more things you can do. So, you have to try and apply possibly every feature to learn fully about Gmail. And, thus the way, you actually adopt the functionalities and a lot of features of Gmail services. That’s enough for today, I’ll be back with other services and platforms of GoogleInc. as as soon as possible. So, stay tuned.